Thi s volume in the Belief series provides a new and interesting theological interpretation of Genesis through the themes of liberation and the concerns of the poor and marginalized. De La Torre remembers Jacob's wrestling at Peniel (Gen. 32:24-32), and finds that "there are consequences when we truly wrestle with the biblical text, struggling to see the face of God." 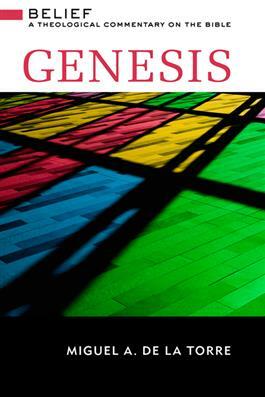 This commentary provides theological and ethical insights that enables the book of Genesis to speak powerfully today. To listen to Amy Plantinga Pauw's interview about this series on WJK Radio with Dan and Jana, click here.